Hytork™'s 'CATS' (Clean Air To Springs) is a solenoid valve designed specifically for superior operation of pneumatic actuators. 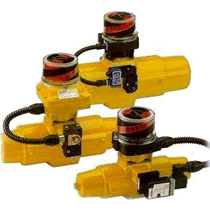 All spring return actuators that use a 3-way solenoid valve require air to enter and leave the spring chambers. As compressed air is introduced to the actuator to push the pistons apart, air from the spring chambers must be allowed to vent. During the fail or spring stroke, the compressed air between the pistons must exhaust to permit the springs to drive the pistons together. This piston movement creates a vacuum in the spring chambers which is usually filled by ambient air that may contain dirt, abrasives, corrosives and moisture of which are bad for the actuator - reducing its performance and life. A wrong solution for this problem is the use of a 4 way solenoid valve (sometimes referred to as "air assist"). It does prevent the ambient air from entering the actuator, but it will also pressurise the spring chambers. The actuator now acts like an air to open, air to close unit. In the unlikely event of a spring breakage or if the valve torque increases, due to line media build up within the valve, the actuator would still appear to operate normally until its fail action was needed in an emergency. At this most critical time, with supply air not available, the actuator could not perform as intended and it's function as a safety device would be defeated. Hytork™'s CATS solenoid valve prevents this undesirable action from happening. As the solenoid is de-energised, permitting the springs to push the pistons together, an internal by-pass in the CATS valve permits some of the exhausting air to fill the spring chambers at atmospheric pressure while the remainder exhausts to atmosphere. No ambient air enters the actuator. Only clean supply air gets into the actuator - Air that was normally planned to be vented!-There is no pressure build up that can lead to false torque availability on the fail stroke, as in the case of air assisted springs! No extra clean compressed air is used! Reduces installation and initial costs. Prevents corrosives from entering actuator. Prevents dirty air from entering actuator. Proves that the actuator springs are working correctly every stroke. NAMUR standard - Easiest assembly possible - only two mounting screws. Eliminates brackets and tubing - mounts directly to the NAMUR pad on the actuator. Only one style of solenoid valve required for Spring Return and Double Acting actuators - reducing inventory costs. To explore how these solenoid valves can improve your pneumatic valve actuator operation and longevity, contact a product specialist and share your requirements. Combining your process expertise with the product application knowledge of a professional sales engineer will move you quickly toward a good solution. Mountain States Engineering and Controls has been selected as the new distributor of the Krombach branded valves from Crane CPE. MSEC has been a master distributor for various brands in the Crane family for fifteen years, and will be capitalizing on knowledge and experience gained from their many years of providing solutions in the industrial process control and valve fields. The Krombach branded valves complement the applications range of other industrial valves handled by MSEC. Butterfly Valves - High performance, resilient seated, double-eccentric, triple offset and special purpose butterfly valves. 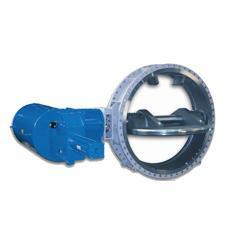 Ball Valves - Process one-piece, two-piece and three-piece, metal seated, soft seated and compact ball valves. Globe and Angle Valves - Bronze, cast iron, cast steel and stainless steel globe and angle valves. Gate Valves - Bronze, cast iron, cast steel and stainless steel gate valves. Check Valves - Ball, dual-plate, foot, full body swing, steam stop, tilting disc, wafer style swing, nozzle-type and pressure seal check valves. Vacuum Relief Valves - Available with flanged or threaded connections. Aerating and Deaerating Valves - Essential for trouble-free operation of pipeline systems handling liquids. Float Valves - Single seated and double seated versions for a variety of applications. Throttle Valves - Available with flange connection, wafer- or weld-in type. Bottom Drain Valves - Available manually operated or with a diaphragm actuator. I have included below one of the many comprehensive data sheets available. More information on any application or product is available from the process control specialists at MSEC. Combining their product knowledge with your process mastery is the key to positive outcomes. Pipeline strainers are one of those simple devices that perform a critical role in maintaining the smooth operation of any piping system. They are found in any operation that has fluid moving through a pipe, and their proper selection and application is the subject of a great tutorial authored by the experts at Spirax Sarco, a premiere manufacturer of specialties for industrial piping systems. One of the basic tenets of industrial process control operations is to maintain a specified function or outcome, to keep things working. 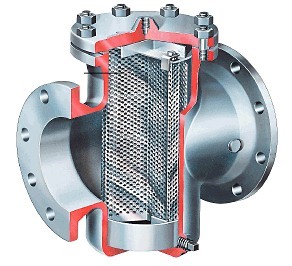 Reduced to its simplest, the function of a strainer is to trap materials flowing in the pipeline that should not be there. Rust, scale, joint compound, and particulate materials can impact the function of valves and other elements in the system. A strainer will trap and hold undesirable material, for removal at a later time. The attached article is excerpted from the company's extensive tutorial library, which you can access by contacting an application specialist. That same application specialist can provide additional detail at any level you need, as well as work with you to meet application challenges and improve your industrial or commercial operations. Earlier this year, King Gage released their LP1 Tank Level Indicator. The unit provides a number of integrated features that give the user accurate indication of tank liquid level. 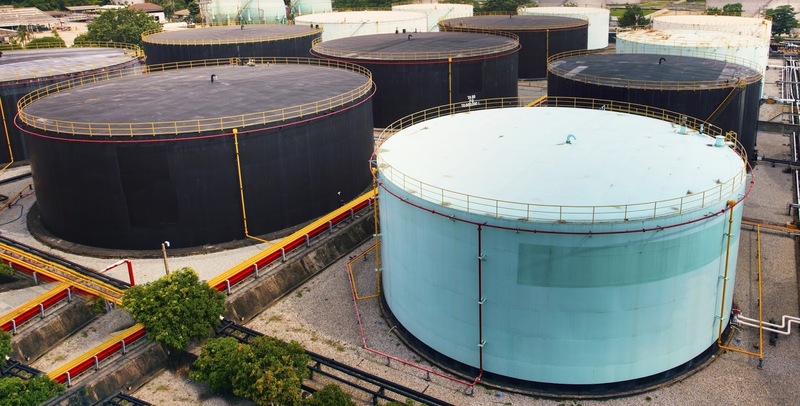 Mate the LP1 with any level sensing instrument that produces a 4-20 ma output signal and it can calculate tank inventory based upon hydrostatic pressure or direct level measurement. Tank level is displayed directly in engineering units, referencing a capacity profile that correlates the transmitter output to actual tank geometry. All application parameters are preprogrammed at the factory, based upon supplied application data, and stored in nonvolatile memory. Options include an isolated 24 Vdc transmitter power supply, Modbus communications, and more. This simple, accurate, flexible unit can be easily applied in many industrial process measurement and control settings. Discuss your application possibilities with a product specialist to save time and take advantage of their wide range of application experience.